This weekend’s 2018 AFL Queensland Under 14 and Under 17 State Championships is an important fixture on the calendar for many bidding footballers across the state, but for one family, the four-day carnival is an entire family affair. 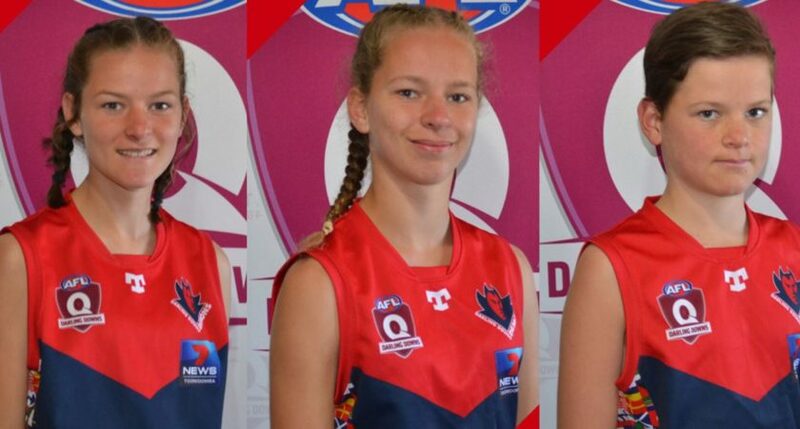 The Browne family will be represented healthily at the state championships, with triplets Sarah, Courtney and Corey al set to line up for the Demons and carry the flag for the Darling Downs region. Both Sarah and Courtney play for the Under 14 Girls side, of which the latter is also the side’s captain, while Corey laces up the boots for the Under 14 boys’ side. The trio hail from South Toowoomba as three of 14 players representing the club across the Darling Downs’ three representative teams at the carnival. This year’s 2018 Under 14 and Under 17 State Championships will take place at Maroochydore Multisports Complex from Friday September 21 through to Monday September 24. In 2018, the championships will carry the theme let them play, which encourages participants to express themselves and learn through a discover environment. These state championships also represent the first steps in a junior player’s football development and aims at preparing the boys and girls for the next stage of their journey. For the first time different age groups have been combined into one huge exciting event on the Sunshine Coast, featuring five days of youth football from some of the brightest Australian Rules Football prospects in the state. Over the course of the Carnival over 500 players, as well as talented young umpires from throughout Queensland and PNG, will compete in a celebration and display of future talent. These players are progressing through the Queensland pathway towards future careers in the AFL, AFLW and our state and community senior leagues. This event is sponsored by State Championships partner, Sunshine Coast Regional Council and AFL Queensland Youth Girls Talent Pathway Program partner, Bond University. Maroochydore Multisports Complex, Fishermans Road, Maroochydore.